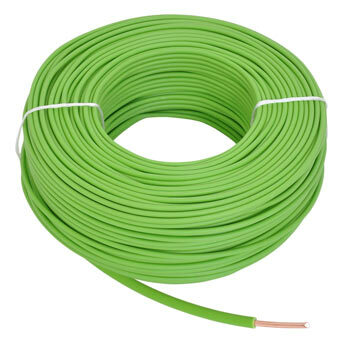 The invisible dog fence can be extended using this cable. Cable length: 152 m, includes 50 marker flags and connector set. Value set for large dogs over 20 kg! The more than300m cable in the value pack ensure a generous dog run. When buying pet products, it’s certainly an advantage to purchase branded goods. This will guarantee that you are buying high-quality products which comply with normal safety standards and reliably perform their job in the long term. PetSafe is one of the world’s leading brands. It combines a wide variety of user-friendly products with the latest technology and high standards. The company, PetSafe, has made a name for itself, above all, by selling dog training collars, remote trainers and invisible fences. As a dog or cat owner, you should rely on such top-quality products. In our online shop they are just as popular as goods made by Canicom. What does PetSafe have to offer? The manufacturer further differentiates between its products by dividing them into five headings: Bark Control, Training Systems, Containment Systems (safety systems such as dog fences), Pet Doors (cat flaps etc.) and Health & Wellness. This clearly shows that the manufacturer’s main focus is on the animal and its needs. The manufacturer’s aim, for both two-legged and four-legged creatures, is that they should benefit from the products and feel that they are well cared for and supported. It is part of PetSafe’s company philosophy to ensure that pets enjoy adequate protection and freedom. Thanks to their electric pet fencing, deterrent equipment, training devices and main accessories, the company helps to give man’s most faithful friends the opportunity to run around and exercise freely. Misbehaviour should be corrected in a targeted way. Maximum comfort and safety both indoors and out count among the prestigious company's priorities. 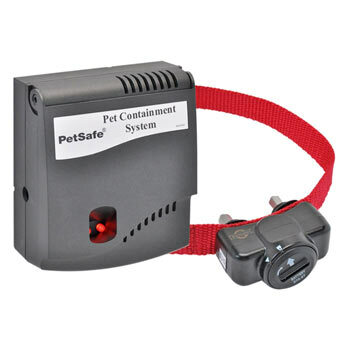 As the name suggests, PetSafe places an emphasis on producing safe products for dogs, cats and pets in general. For dog training purposes, pet owners prefer to place their trust in this brand, as the items provide plenty of scope, are easy to use, hard-wearing and include technical innovations. Although the company, PetSafe, originates from the USA, its goods enjoy tremendous popularity throughout the whole world and can be adapted to the most diverse conditions. Dog training is very effective and strengthens the bond between a dog and his master, enabling them to lead a harmonious and happy life together. Not a lot is written about PetSafe itself, as the company prefers to let its products speak for themselves rather than resting on its laurels. With headquarters in the States, the company operates according to its motto “Protect. Teach. Love.”, thus advertising the fact that behind its products are people with a love for animals. People’s own experience with pets, their ideal concepts and official test results allegedly influence the way the company designs its products. The PetSafe brand does not just stand for quality and innovation but also for a love for animals in general. The company’s headquarters are based in Tennessee, and its management supports various animal-friendly campaigns and institutions. An international network has been created under the leadership of CEO, Randal Boyd, and this network supplies pet owners throughout the world with branded goods from the States that satisfy humans and animals in equal measure. This is one of the many reasons why PetSafe is set apart from all the rest. The manufacturer is a member of the Electronic Collar Manufacturers Association. The ECMA has an impeccable reputation and supports the humane handling of animals which is why detailed instructions are included with every PetSafe product in the online shop. The manufacturer, PetSafe, has established itself as the market leader for invisible dog fences. What lies behind this promising product category? As the name suggests, invisible pet fences for gardens or backyards lie behind this concept. They function as electric fences to keep dogs, cats, small animals and poultry safe. An invisible dog fence dispenses with fence posts and similar components which, to some extent, look unsightly, are complicated to install and can even be prohibited on certain plots of land. PetSafe’s electronic dog fence is based on cables which are laid over or under the ground. They are connected to a transmitter which, in turn, is connected to a socket. Electricity flows through the cable / wire, however this is harmless both for animals and humans. 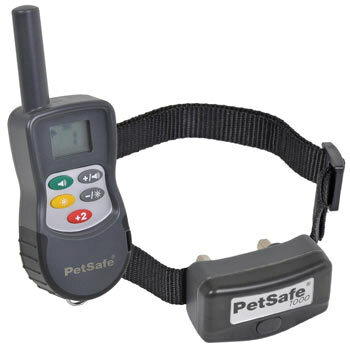 An electronic collar made by PetSafe is fitted on the dog. If the dog approaches the cables, it hears an unpleasant warning signal. If the dog ignores the acoustic warning and keeps going, it will receive an electric shock. The short, harmless electric shock acts as a deterrent and prevents the animal from getting through the garden fence or from entering a certain area. Over time, this shock produces a learning effect. It’s not possible to dig under or jump over an invisible dog fence which means that it’s far more effective than a standard, visible fence. If you wish, you can even rely on a mobile solution such as the wireless dog fence, which can be an advantage if travelling when training or camping. Pet fencing is just as suitable for cats and, for example, hares as it is for dogs, as a net for small animals can be supplied as an option. An invisible cat fence such as the Radio Fence model is just as advanced and safe to use. If you wish to train your dog, it’s important to rely on positive and negative reinforcement. Misbehaviour must be corrected as quickly and consistently as possible. Remote trainers and static correction trainers by PetSafe can help with this. PetSafe’s Deluxe Trainer, with its long-range transmitter and adjustable spray, is one of the world’s best-selling remote spray trainers. The spray trainer corrects any misbehaviour exhibited by your dog, such as barking, growling, jumping up or running off, by sending a quick burst of spray towards your dog’s snout. A special training collar is used for this. 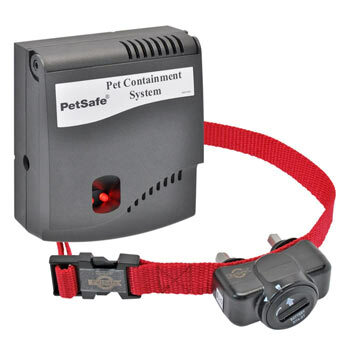 Alternatively, a PetSafe remote trainer is also available and operates using electrical impulses. The static correction trainer is also used for the quick, easy and effective correction of misbehaviour in dogs and is based on a special dog collar. The dog owner uses a transmitter similarly to a remote control, while the collar acts as a receiver. The Impulse trainer has proven successful even with dogs that are difficult to train. It is equipped with a rechargeable battery for the transmitter and receiver, and comes with an extensive user manual and training instructions for the customer. Bark control products are listed as a separate category for PetSafe products. An anti-bark collar generally operates fully automatically and prevents the dog from barking. Whether for overnight use, when on holiday or during the day when the owner is not at home, an anti-bark collar declares war on annoying barking. Again, a training collar is used for this purpose. Alternatively, a bark control station can be purchased for outdoor use if the dog is kept in the garden. This operates with ultrasound and emits a beep which cannot be perceived by the human ear but which is bothersome for dogs. Some collars rely on vibrations and sound rather than ultrasound, spray or an electric shock. Accessories are available both for PetSafe dog collars and for dog fences. The American manufacturer relies on sales partners in many countries around the globe. In Germany, Weidezaun is one of the biggest online traders for the prestigious brand and ranked very well in test reports. Possibly no other website contains so many of the company’s devices and collars as our online shop which caters for everything to do with training cats and dogs. In addition to the huge variety of products, further advantages are available for everyone who buys PetSafe dog collars from us. The family-run company from North Friesland is one of Germany’s market leaders and has been a master enterprise since 1981. As experts in electric fences, pet fences and products for training dogs and cats, we endeavour to offer a comprehensive service and unbeatable value for money. The wide range of payment methods is a good reason for purchasing from us. Cash in advance, cash on delivery and instant transfer via the Internet are possible. If you wish, you can pay by credit card or PayPal. It’s not just the many payment methods that make purchasing easier, fast delivery is also a good reason to buy from Weidezaun. A reliable service, uncomplicated ordering around the clock and affordable prices distinguish us as an online trader for PetSafe. Over 70,000 favourable ratings from customers and the “Trusted Shops Guarantee” seal underline the outstanding quality of our services. Our mail-order business was awarded “2014 Top Shop” by the specialist journal “Computer Bild”. If you are looking for PetSafe training collars or invisible fences, you’re in the right place. If you want to play it safe, use PetSafe products for your dog which can be ordered online on Weidezaun. The training collars from the American company enjoy an excellent reputation throughout the world and take the dog’s well-being just as seriously as the dog owner’s requirements. 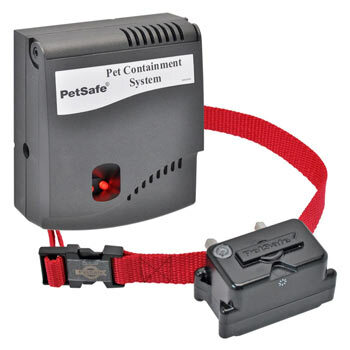 Remote trainer and anti-bark collars are available as well as electric pet fences. An invisible dog fence from PetSafe will spare you a great deal of worry and offers the dog freedom and safety. Dog training experts are convinced by the high quality, wide range of products and fair prices. In general, where the well-being and safety of their dogs are concerned, only the best will do for dog owners. The same applies to cats and their owners. Not only is it important to make a fuss of your pet and engage with him well, it’s also important to show him who’s boss and make sure that he’s well trained. To train dogs and cats, we highly recommend products such as Canicom remote trainers. The training collars made by Canicom are international best sellers and enable man and his best friend to coexist harmoniously. Why is the Canicom brand one of the world’s best sellers? There are various reasons for this. A glimpse behind the scenes will soon reveal the advantages of buying a Canicom product. The company Num’Axes produces dog training collars together with many other training products. Its headquarters are based in France however it operates on a worldwide scale. It relies on a close network of traders and organisations such as Canicom Club Germany. Similarly to PetSafe in the States, the French company Num’Axes is one of the market leaders in the area of electronic dog collars. We recommend this manufacturer for invisible dog fences, remote trainers, toys for dogs, dog tracking devices and accessories. The company develops, manufactures and markets quality products for training cats and dogs. The company has also built up an excellent reputation, as it takes into account the animals and their needs as well as the pet owners and their expectations. Our aim is for Canicom products from our online shop to create maximum satisfaction. Areas such as private use, professional training, hunting, and veterinary practices are all covered. The background of the company, Num’Axes, is much to be admired. In 1994 the first electronic dog collar was designed with the help of outside experts. Three years later, a department for research and product development was set up at the company. The CANICALM product range was created for bark control dog collars. In the year 2000, at the very dawn of a new era, a retail outlet was opened in Toulouse so that customers in southern France could also be given professional advice. The headquarters were then, as now, based in Orléans. In 2004 Num’Axes’Canicom started to attract attention and praise for the first time. Ever since, the focus has primarily been on training devices such as the remote trainer. Two years later, the IKI range saw the light of day with its anti-bark collars equipped with new functions and an ergonomic design. Now, around 20 years after the company was founded, we are the preferred point of contact for dog owners throughout the world as far as remote trainers and static correction trainers are concerned. With branches in 50 countries and 40 % of profit from export markets, Num’Axes is a company which can simply not be ignored. We are of course a member of ECMA (Electronic Collar Manufacturers Association). With a static correction trainer or another remote trainer, dog training is not only easier, but also more effective. The remote stimulus devices are used to correct misbehaviour through negative (and positive) reinforcement. For dogs that bark too much, exhibit aggressive behaviour, run off too far from their master or do not obey commands at home or when out on walks, CANICOM’s remote trainer is just the thing. The company Num’Axes from France offers a wide range of training collars which are suitable for small, lightweight dogs and large, heavy animals. The electronic collar makes it possible for you to react quickly and consistently to inappropriate behaviour and thus break bad habits. Without the use of static correction trainers etc. you could possibly react too late, not punish your animal severely enough or cause your four-legged friend to become anxious which can even make his bad behaviour even worse. While the bark control collar generally operates automatically and declares war on barking, the Canicom remote trainer is composed of a set of components. On the one hand, there is the receiving device which is mounted on, or integrated into, the collar. On the other hand, there is the transmitting device. The transmitter looks like a remote control, has a wide range and is controlled by the dog owner. A signal released at the touch of a button is received by the receiving collar and converted into the corrective impulse. If you opt for a static correction trainer, it works with an electric shock. This method is suitable, above all, for animals which are slightly more difficult to train. If you prefer a more gentle alternative, there are ultrasound trainers (which emit sounds that cannot be perceived by humans), spray trainers and remote trainers with vibrations and sound. The Canicom electric collar for dogs has proven itself successful with its adjustable impulse that teaches the animal to obey. As an option, the remote trainer for controlling dogs is available with a second collar, whereby one hand transmitter is sufficient. 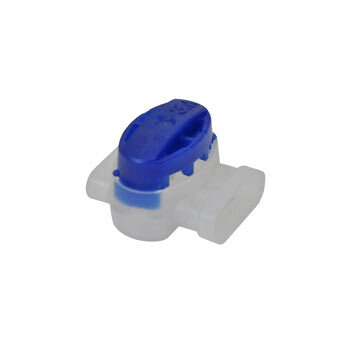 All types of accessory such as batteries or contact switches are available. Why should I buy a Canicom remote trainer? Don’t forget the benefits that can be attained when customers rely on Weidezaun. Our company – a family-run business for many decades with high principles – makes purchasing online as easy as child’s play. Secure payments, a variety of payment methods and fast delivery all form part of our outstanding service. Weidezaun is one of the biggest online traders for Canicom remote trainers and other items related to training dogs and cats. The enormous choice goes hand in hand with a service that our customers rave about and which earned us the “Top Shop 2014” award from Computer Bild. Our declared goal is to sell branded goods at a fair price. This is reflected in over 70,000 reviews written by satisfied customers. The remote trainers are kept in stock in a wide variety of designs and obviously meet applicable national, European or international standards. We are well aware that pet owners expect premium quality and an all-in service, and that their animals deserve to be trained correctly. It’s precisely for this reason that we have specialised in Num’Axes branded goods while at the same time being acknowledged as an expert in electric fences and invisible dog fences. Does your dog bark too much? Is your four-legged friend digging up your garden, performing his “business” in your flat or behaving aggressively towards people and other animals? Is he stealing food, getting out of control when out for a walk or do you want to train him as a hunting dog? We highly recommend a CANICOM remote trainer for all these scenarios. With its electric dog collars such as the static correction trainer, renowned manufacturer, Num’Axes, offers an optimum solution for training dogs and also for professional training. As an online trader for the top brand Canicom, Weidezaun stands out with its wide range of fair price products.